Good morning and all the best for the festive season. We have come to the end of a turbulent year. Some people achieved most of their goals, others have not. So what made the difference? Circumstances, the economy, disagreements with others or you just have not been committed to achieve your goals. Whether or not you are successful in any endeavour is determined by your expectation before you start. You need to know the criteria before you can judge yourself. Commit yourself to your goals, visualise it in your mind. See it as it happens in the present state. Live it and dream it. Am I focusing on my niche? Have I made a commitment to others, the people I want to work with and what is the benefit I provide? Can I call on my clients for referrals? Am I an expert in my field? Have I got a list of my ideal clients and do I have a great database? Decide how you can improve your business and use the above questionnaire and make up your own business plan. 2003 has been a significant year for me. I have consolidated my business, and have with my clients achieved great goals. A key point about Robert’s coaching is that he doesn’t tell you the answer, he helps you find it for your self. When you find it for yourself, you believe it lasts. Robert genuinely enjoys seeing his clients prosper. 2004 is starting with many of my clients determined to keep on track by returning on a regular monthly basis working with me on new and exciting goals. I am working with Peter Thorpe to redesign my WebPages. I am undertaking a number of seminars to improve my coaching skills. I can help you make positive changes; I am trained to give you a structure, tools and support to improve you personal and business life. To start the process I offer a no obligation one and a half-hour coaching consultation of a 12-week private and confidential coaching series. It is a blue chip investment. Call me on 9817 0625 or 0413 529 528 for an appointment. This entry was posted in Newsletter on October 9, 2013 by . In the last two month I have experienced similar or the same question from prospect who approached me for improving their businesses or become more profitable. How can I get more prospects through the door? Regardless of whether you are self-employed or have your own with 50 people 6 year old company it pays to examine what, why and how to operate your business? But even if you have a successful business. Why not? Improving an already existing business, one of the things that are never complete. It requires challenges, and it is exciting fun. People who are called to these challenges will not only create a better business they will also grow personally they never thought would have otherwise. It will help you push though perceived limitations. How do you rate you’re marketing and Sales? What is your relationship with your people? Is there an attitude of cooperation? Do you give the service to your clients they looking for? Are you customer driven company? Are you an innovator in this rapidly changing world? Do you have a clear defined obligation to your company? What core values do you communicate in your marketplace? As Anthony Roberts says: CANI! Constant and never ending improvement is what success is all about. 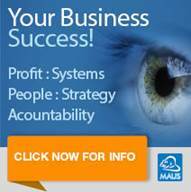 Have an ‘accountability partner’ inspire you to identify your business priorities, manage your tasks and get more of your business goals achieved faster, for FREE. 1 hr. expert business coaching strategy session free of to make sure you’re achieving your goals – and it’s FREE! Have you ever wished you had an ‘accountability partner’ to inspire you to identify your business priorities, manage your tasks and get more of those important business growth activities done and dusted? Did you know that successful people are good at 2 critical tasks? If you’re like me, you’ve got great plans for your business. But also, like me, you’re probably so busy doing busy-ness that you doesn’t always have time to put your plans into action. We all struggle with managing our time and prioritising our tasks, so this FREE deal is twofold. First, you get an in depth 1 hour conversation (worth $497.00 free) with me Mentum’s expert business Mentor to help you establish all those ‘priorities’ a business should be focussed on. But then, your personal business coach will then call you to hold you accountable to ensure you’ve actually completed the tasks you’ve set yourself and started achieving your goals. It’s like having a friendly, thoughtful, inspiring business partner that only wants the best for you! Expert advice that actually helps you achieves those goals. Where you are today in your business? What you tried to achieve but couldn’t? What’s stopping you from achieving? Have a successful and prosperous start to 2013. This entry was posted in Newsletter on February 8, 2013 by . A business vision is the DNA that directs the growth of any business idea. A great business vision should inspire management, staff and customers. Putting aside financial needs, a great business vision is the real reason people go to work. While a business must continually adapt to its competitive environment, there are certain core ideals that remain relatively steady and provide guidance in the process of strategic decision-making. A business vision can help you, your employees and customers to better understand and maintain your business focus. When shared by management, employees and customers, a vision can have a positive influence on the business culture. However, simply stating your vision won’t automatically deliver business improvements. It is important that the vision is relevant, appropriate to your business, and that it can be translated into action, and shared with staff/teams. Managers, employees and customers should be able to relate to the vision and find it useful in guiding their efforts. Writing a good business vision might take several days. It often takes quiet introspective time to get to the ‘core’ of what you want. It helps to get other people (Board Members) to contribute to your vision, as we often can’t see what we really do. To write a vision, ask your self, ‘what is the thing I am most inspired about doing in my work?’ How do we make a difference? What do we really do for our customers, not physically, but emotionally or personally? A business vision combines your customer, your geographic area and your product or service. Write one complete sentence that combines all three elements. It is that easy. Yes, you need to adjust this formula to make it flow together well. But you are now part of the elite group of business owners that have a written business vision statement. A vision statement will detail the whole point of your business. In many ways this is the hardest part of your business strategy to write because it must outline succinctly the whole thrust of your business. I can help you make positive changes; I am trained to give you a structure, tools and support to improve your business and personal life. To start the process I offer a no obligation and free one and a half-hour consultation of a 12-week private and confidential mentoring series. It is a blue chip investment. Call me on (02)80904306 or 0413 529 528 for an appointment. This entry was posted in Newsletter on April 8, 2008 by . If you really know what things you want out of life, it’s amazing how opportunities will come to enable you to carry them out. Human beings have many talents that can be turned into engines of success. Yet the best performance requires more than mere talent: it involves developing a number of important personal strength, including determination, vision and confidence. Picture your way to success. With the Olympics being played out in Greece, we experience incredible performances form individuals who are achieving goals they have set for themselves because they have incorporated the power of mental energy to reinforce exactly how they want to perform. Visualisation however, is not something reserved solely for theatrical performers, singers, athletes and movie stars. It is something they have used since childhood to create the circumstances of their own life. Take responsibility for the pictures you are playing in your own mind. Create pictures to move towards what you want. Sit in a comfortable chair at home, close your eyes and breathe deeply to clear your mind and relax your body. The more sights, sounds and smells, tastes and touches you incorporate in your pictures the more powerful your desire will be to make your vision reality. When you focus on what you want, rather than the answers and the detours along the way, you will get to your destination faster. Without focus on your vision it will take a long time and effort to achieve your goal. Do not confuse motion and progress. A rocking horse keeps moving but doesn’t make any progress. Take several sheets of paper, your time inventory statement and summary, and write goals, and go somewhere where you will be alone and undisturbed. How did I waste my time? What can I do to prevent or reduce wasted time in the future? How did I waste other people’s time? Whose time did I waste? How can I prevent this from happening? What did other people do that wasted my time? Can anything be done to reduce or eliminate future occurrences? If so, what? What did I do that was urgent but unimportant? What did I do that was important in light of my goals? Work on improving your concentration and memory skills. Prioritise and make every day count by using your time effectively. It is with pleasure that we write this testimonial, because it’s always good to tell people about your experience, particularly when it exceeds your expectation. Our practice had been established for some 18 months when we sought Robert’s assistance, after a frustrating period of stagnation. We thought he would be chasing us to make us achieve targets, like a coach and through that instil in us a sense of accountability and probably some discipline. What Robert delivered was that and more. We have not looked back since and acknowledge the effect Robert had on our business’ success. Coaching works because it brings out your best. A coach believes you have the answers and is trained to bring them out (painlessly)! Listen: I listen fully. You are the focus. I listen to what you say, what you are trying to say, and what you are not saying. Share. After you have fully communicated. I share with you my advice, ideas, comments and views on your situation, dilemma or opportunity. Endorse. Anyone who’s up to something – an entrepreneur, a manager with extraordinary objective, a professional filling the practice needs – yes, needs – an outside voice full of endorsement, compassion and acknowledgment. Not as a yes-type person, but as someone who knows what it takes to achieve. Suggest. I want a lot for you. I want you to be healthy, happy and successful. I want you to be on a strong financial track. I want you to enjoy your family and friends. I want you to have a life that inspires others – and yourself. Part of my job is to be at least 3 steps ahead of you, yet be with you. As such, I make requests and suggestions. And you are my client. Call me on 02 80904306 or 0413 529 528 for a one and a half hour obligation free coaching session of a 12 session private and confidential coaching series. This entry was posted in Newsletter on August 8, 2004 by .